Celebrating 60 Years of the finest specialty foods and wine! Symons General Store is a family-owned specialty grocery store, deli, and wine cellar located in Petoskey, MI’s historical Gaslight District. Since 1956, Symons has been a destination for wine lovers, cheese connoisseurs, and foodies alike. Many have said that entering the building is akin to taking a step into the past, with its original wood floors, embossed tin ceiling, nostalgic candy selection, and other old-fashioned charms. Don’t let our looks fool you though! Despite our old-school appearance, we have a large selection of the latest gourmet items from around the world, and we’re always on the lookout for something new. We carry many Michigan made products, including local jams, chocolates, and maple syrups. Within our cheese case, you will discover an assortment of fine imported and domestic cheeses. We cut wedges to order or we would be happy to create a beautiful tray using an assortment of accompaniments including sweet and savory spreads, olives, nuts, honeys, and charcuterie. 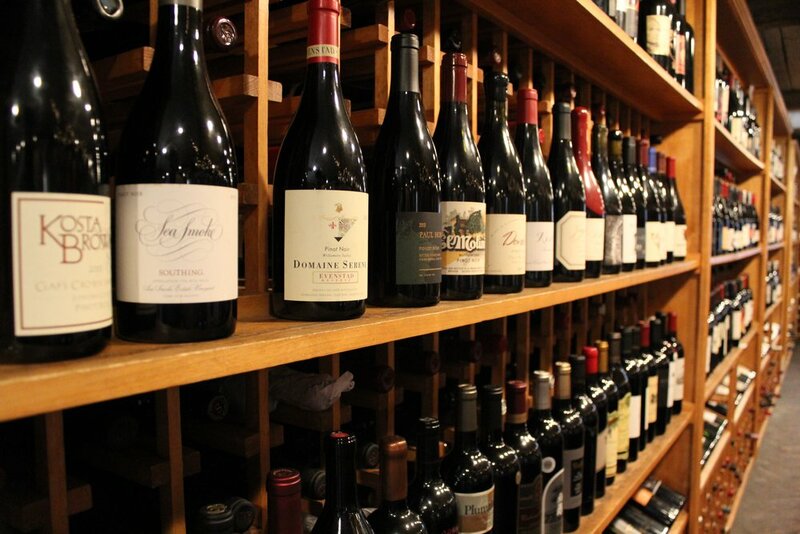 Downstairs in our wine cellar, you’ll find a carefully curated collection of over 400 different wines. We have everything from a local Chateau Grand Traverse Riesling to a coveted bottle of Tenuta dell'Ornellaia Masseto Toscana. Our cellar has been called one of “America’s 50 Most Amazing Wine Experiences” by Food and Wine magazine. It’s a great place to host a party too! So whether you're seriously into wine, want to create a unique gift basket for your favorite food lover, or are hungry for a delicious deli sandwich, stop in to see us! 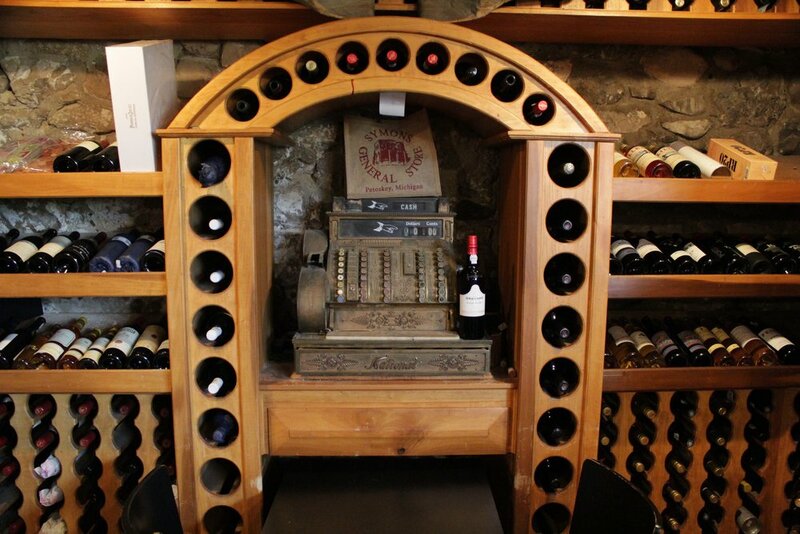 Follow the steps to our lower level and you will discover our Wine Cellar. With its rustic brick floors and walls adorned with over 5,000 bottles of wine, you will immediately feel as if you have stepped out of northern Michigan and into Old World Europe. Originally home to beloved downtown Petoskey shops such as the Mole Hole and Tin Soldier, the space was converted into the Wine Cellar in the 1990s when the wine in the store was relocated to the lower level and the space was transformed. Today, we proudly carry over 400 different varieties of wine, from vineyards around the world. Select your favorite local varietal or explore a new continent and find a new love. With our vast selection, you are sure to find a unique palate inspiration and delicious varietals that will fit into any connoisseur's budget. If you are unable to decide on just one, mix and match and stock up with our case discounts! A retail shop by day, into the evening the Wine Cellar is transformed into a unique dining experience. It offers a cozy and intimate setting, perfect for a romantic evening or reserve it for your next celebration or special event. Keep up to date with everything happening in the General Store and restaurants by reading our monthly newsletter. 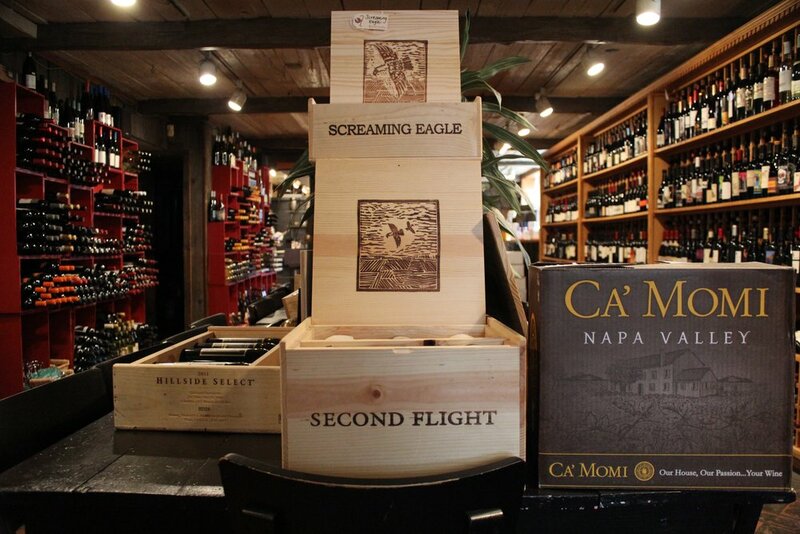 Read about our current featured items, events, and our selected wine of the month. Grab one in the General Store or sign up to receive them via email. Symons Says: Sign Up For Our Monthly Newsletter! Sign up to receive our monthly newsletter and stay informed about all Symons happenings. 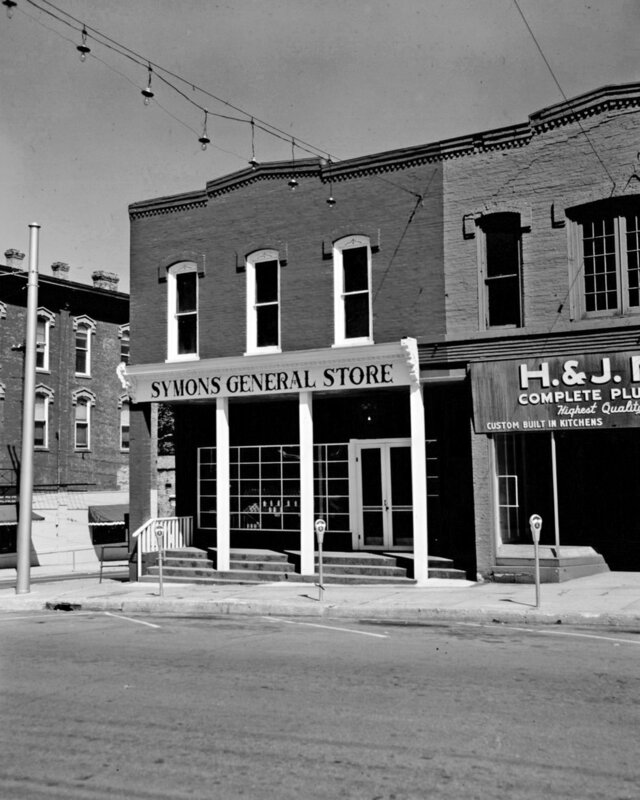 Symons General Store first opened its doors in Petoskey during June of 1956, occupying the bottom floor of one of the city’s oldest brick structures. Although the building had no plumbing or electricity, Tom Symons had a vision to create a store unlike any other. After renovating the building, Tom added a new facade, as well as what would become the wine cellar. 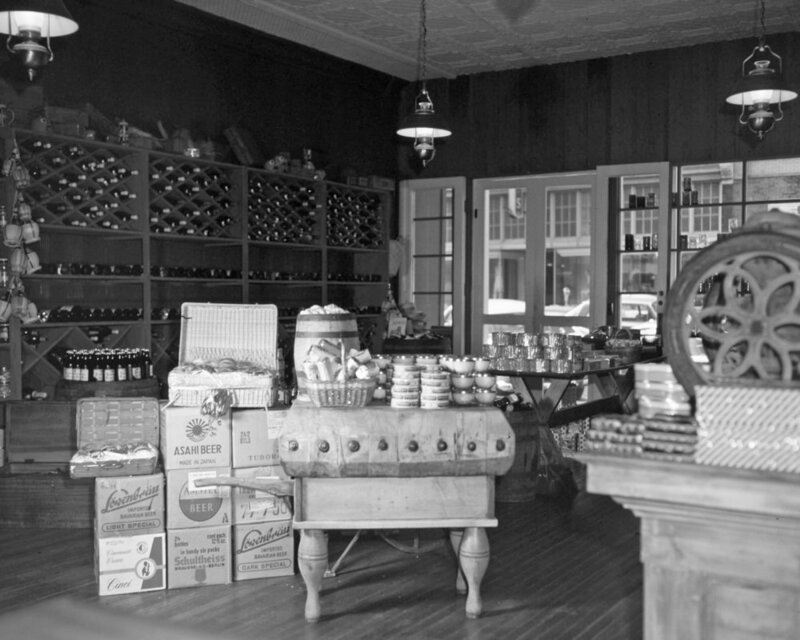 The store was originally supplied with coffee, spices, and other rarities by historically famous distributors S.S. Pierce and Haddon House. 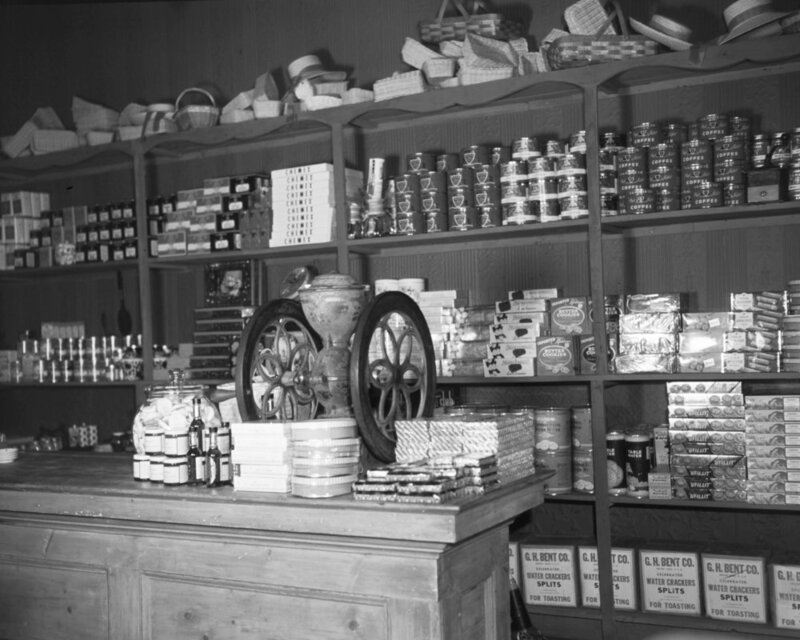 Tom was also a leader in importing gourmet products directly to the store’s front steps. Additionally, Norm Viviano, Joe Ganci, and Pat Mankowski of Viviano Wine Distributors in Detroit helped Tom establish the store’s now famous wine collection. For the first time, locals had access to the elegance of gourmet foods. In the late 1970s, Lynne Symons took service to the next level and introduced Symons General Store and its patrons to the world of freshly baked croissants, breads, and cookies. In addition, she began making delicious sandwiches using Usinger’s Meats of Milwaukee. This was the first time the company offered freshly baked and ready to eat foods. Although a risky move, her vision of fresh baked goods not only worked- it was the catalyst for the changes to come. Tom and Lynne’s son, Chandler, followed in his parents’ food-loving footsteps, adding two restaurants to the Symons General Store family. He opened the popular fine dining establishment Chandler’s - A Restaurant just around the corner from Symons in December of 1999. In the winter of 2003, he introduced Pierson’s, serving comfort food in a fun atmosphere at Boyne Mountain Resort. Today, Tom Symons' legacy of providing the very best food, drink and customer services lives on at all of our locations. Stop into Symons General Store and Chandler's - A Restaurant and let us share with you three generations of wisdom on the finer things in life!